Energy Minister Martin Ferguson has been talking about gas to liquids (a subject covered here previously) as part of a strategy to address Australia's dependence on imported fuels. The minister has also previously expressed enthusiasm about coal to liquids projects (declaring at a recent CTL and GTL Conference "I regard this industry as the key to securing Australia's energy future"), so in this post I'll have a look at a few CTL projects currently at various stages of development around the country. MARTIN FERGUSON: Just think about the competitive difficulties at the moment confronting Australian industry and the ordinary motorists given the price of oil. If we don't actually come to terms with investing in our future, then this is going to raise serious questions about our competitive position internationally in a tough global market in a very short period. GREG HOY: According to the Minister, the best hope may lie in applying a new technology to Australia's vast reserves of natural gas and coal to create a new fuel for Australia's motorists and transport fleet. GREG HOY: Crucial trials at Queensland's Linc Energy will begin before the end of the month, where a coal seem at Chinchilla, north-west of Brisbane, will be ignited underground like so, with compressed air forced through the seem to form a synthetic gas of steam and carbon, which as it exits will be converted from gas to a clear liquid diesel, with enormous production potential, the same technology we are told, can be applied to natural gas reserves. MARTIN FERGUSON: So it's about exploration, plus encouraging investment in downstream processing in Australia on gas liquids and coal liquids and thereby creating synthetic alternative fuels. GREG HOY: Once again, the sceptics do not share the Government's optimism that a solution to Australia's oil crisis is at hand. JIM BUCKEE: The conversion of coal and gas, gas to liquids, for example, are quite energy expensive of themselves. 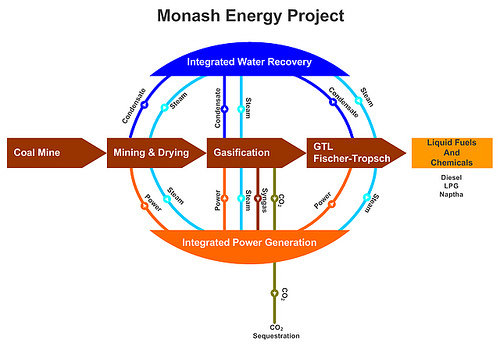 Monash Energy is a venture by Shell and Anglo American to jointly develop a "clean" coal to liquids project in the Latrobe Valley, "utilising the latest low-emissions technologies". 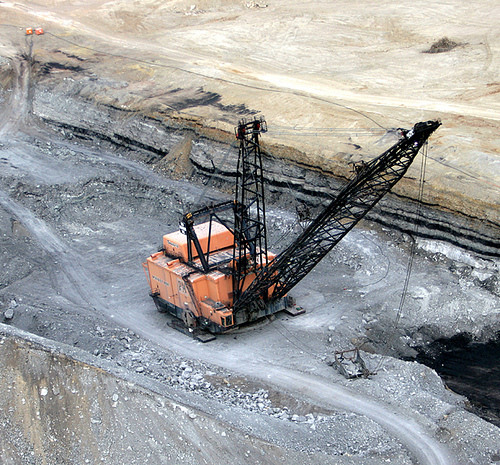 The Monash plant is to use local brown coal as a fuel source (gently lifted from the earth by the little machine shown above) which has a moisture content of more than 60%. Vaporising the moisture when the coal is used for power generation results in an energy loss that also results in higher CO2 emissions per unit of electricity generated (around 50% higher than using black coal), which presents a major problem for Victorian power generators with the commencement of carbon emissions trading looming in the not-too-distant future. Monash promotes their CTL project by highlighting both energy security concerns and their plan to sequester the CO2 produced (approximately 13 million tonnes of CO2 per year) offshore beneath depleting oilfields in Bass Strait. Roll-out of these technologies – particularly coal gasification and carbon capture and storage – is becoming critical at a time when official forecasts project a 60% increase in world primary energy demand over the next thirty years. These same forecasts also suggest fossils fuels remain one of the primary sources of energy, so the aggressive adoption of new and less carbon intensive technologies is vital. Critically, the technologies chosen by Monash Energy enable separation of a concentrated stream of CO2 that can be transported to injection wells in deep underground geological formations for secure storage. The Monash Energy focus on the production of liquid fuels – such as an ultra-clean, virtually zero sulphur synthetic diesel – is also highly relevant to the emerging debate around energy security. The Project would be one of the largest single investments ever undertaken in Australia. Its size and complexity means that at least a decade from initiation to commercial production. The first commercial plant is expected to produce about 60,000 barrels per day of synthetic fuel (80% of which is high-quality diesel). Commissioning of the plant is targeted for 2016. 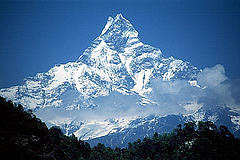 There has also been talk of the project producing hydrogen. According to the company (as of late 2006) the output of the plant has an indicative price of $US50/barrel - however I suspect this number has changed somewhat since then - and the Gippsland Basin brown coal resource is sufficient to support several such plants, each operating for 50 years. The plan to sequester CO2 in Bass Strait has hit some snags, with Exxon announcing last year that the region still has more than 20 years left of oil production and more than 30 years of gas, prompting speculation that the carbon dioxide may need to find another home. Exxon continued to raise concerns about this plan at the APPEA conference this week. A pilot onshore sequestration project recently started up which may provide an alternative option if it can be made to work. Linc Energy is a small player that is commissioning a demonstration plant to convert coal to liquids at Chinchilla, on Queensland's Darling Downs (and one which promotes its process as a solution to peak oil). The demonstration plant is due to prove at the end of the month that it can produce products such as diesel and aviation fuel. The company is using underground coal gasification (UCG) to produce syngas, then converting the syngas into liquids using the Fischer Tropsch process. * Coal is not mined. * Chemical processes are arranged to occur in the coal seam in situ. * The injection and production wells must be connected within the coal seam by the links of low hydraulic resistance to allow production of commercial quantities of gas. The company is claiming it can produce syngas for about 70c a gigajoule, which The Australian claims is "causing some discomfort for Queensland's coal seam methane producers" (although they don't appear to be direct competitors, in the absence of any gas-to-liquids projects in the coal seam methane industry at present). The company also claims UCG produces 20 times more gas for a given volume of coal than CSM can. If the demonstration plant is successful, the company hopes to develop a 20,000 barrels-a-day commercial operation - expected to cost around $800 million. The output would be trucked to Brisbane for distribution by BP. Linc has formed a joint venture with a small Queensland based biotechnology company called BioCleanCoal to develop a bioreactor which will "convert CO2 into oxygen and solid biomass through a photosynthesis process" in the hope of reducing or eliminating CO2 emissions. Some of the early proposals from Linc talked about a syngas fuelled power station as well, though this now seems to be on the back burner. The company claims this would produce fewer greenhouse gas emissions than regular natural gas fired power plants, which might be another reason why it promotes itself as a "clean coal" company. * UCG-CCGT (Underground Coal Gasification-Combined Cycle Gas Turbine) has the potential to be one of the lowest greenhouse gas (GGE) coal-based technologies, and compares with the emerging IGCC (Integrated Gasification Combined Cycle) and more radical ultra-supercritical developments — it would generate around 25% less GGE than the most efficient of Australian coal-fired power stations. * UCG-CCGT, however, emits more GGE than does a natural-gas-fired CCGT process due primarily to the higher carbon to hydrogen ratio of the gasified coal product. * NOx values are equivalent to other combined cycle type power stations. * UCG-CCGT requires smaller amounts of water compared to other combined cycle technologies, as gasification water requirement is provided by controlling ingress of water from aquifers surrounding the wells and gasification voids. Some of this water is extracted as condensate and reused for cooling purposes. The company is also expanding into Vietnam, recently announcing plans to build a UCG power plant there. In addition, there are reports that Linc may be involved in plans to evaluate "huge but little explored coal reserves" in the Arckaringa Basin in South Australia's far north, with the goal of producing electricity and fuel for major resources projects - in particular Olympic Dam and its large new requirements for power (in a state already short of power generation capacity). 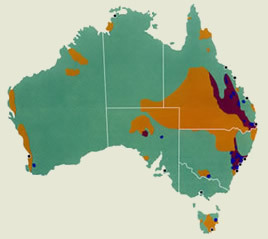 According to The Age, no serious exploration work has been carried out in the basin since the 1980s, although the SA Department of Primary Industries and Resources has data from previous drilling indicating that billions of tonnes of coal could be contained in the region. GulfX is another company talking about building a CTL plant, again via gasification of coal, at a site 300 kilometres north-west of Adelaide. Apparently they partnering with geothermal energy hopeful Torrens Energy. The company says "We will have an on-site facility which will consist of a 30,000 barrel a day refining plant and a 500 megawatt power plant, of which 50 per cent would go into the national grid". Both companies are minnows, so this project appears highly speculative. Until recent years, the only countries that have pursued coal-to-liquids programs have been those that have had difficulty obtaining sufficient oil supplies - particularly Nazi Germany and in apartheid-era South Africa by SASOL. Both used the Fischer-Tropsch process - a number of other coal-to-liquids processes have been explored in the years since. South Africa has been producing fuel from coal since 1955 and has the only commercial CTL industry currently in operation. Around 30% of the country’s liquid fuel needs are produced from coal, with total capacity above 160,000 barrels per day. Rising oil and gas prices have caused Asian countries to start looking seriously at coal-to-liquids projects, with China expected to start its first large scale plant in the coal-rich region of Inner Mongolia, using the Bergius process. The plant will reportedly have a daily output of 20,000 barrels, rising to 100,000 barrels a day in future years. A study last year by the Chinese Academy of Sciences said: "Production of liquid fuels from coal is practically the most feasible route to cope with the dilemma in oil supply." It concluded: "Establishing large-scale CTL plants on the pitheads of several main coalfields is feasible and competitive when oil price is well over US$25 per barrel." According to The Guardian, at least two more commercial scale coal-to-liquids plants are under construction in China, although the Chinese government has expressed concern about the possible environmental impact of uncontrolled expansion, and has taken steps to limit the number of smaller facilities. The IEA is predicting that by 2030, China's non-conventional oil supply from CTL plants will reach 750,000 barrels a day. An IEA report on CTL, due to be published this spring, will highlight other projects planned or under way in Japan, the US, Australia, China, India, Botswana, Indonesia, the Phillippines and South Africa. The Indian government recently approved a joint venture between Tata and Sasol. There is an organisation pushing adoption of coal-to-liquids processes in the United States called the Coal To Liquids Coaltion (also known as FutureCoalFules.org". The US Air Force seems to be showing a keen interest in synthetic fuels from CTL and is reportedly encouraging the creation of a CTL industry that could leverage local coal reserves based on energy security concerns. They apparently have plans to lease property at Malmstrom Air Force Base in Montana for the construction of a CTL plant. The Governor of Pennsylvania is also pushing for federal funding to establish a CTL plant in his state - a plan not without critics. Coal mining has always attracted a large amount of criticism from environmental groups because of the devastation it causes to both mined and surrounding areas and as a result of the pollutants emitted when burning. Carbon dioxide emissions have been the number one concern in recent years, with critics pointing out that even if "clean coal" power plants can be built and operated successfully, CTL plants will always be major sources of emissions because the fuel produced is burnt where it cannot be sequestered - in vehicles. While some scenarios have been considered that combine peak oil models with deliberate efforts to reduce our use of coal in order to reduce our carbon emissions to levels that are considered safe, accelerating the use of coal via coal-to-liquids schemes (in a knee-jerk reaction to peak oil) will achieve the opposite effect - rapidly increasing emissions as we use coal to make up for shortfalls in oil supplies. Known coal supplies have the potential to increase carbon dioxide levels to almost 1000 ppm, which is far in excess of levels considered safe by the IPCC, leading some global warming activists to declare "coal is the enemy of the human race". Some observers are already predicting the "beginning of the end for coal" in the US as a result of government and finance industry obstacles to new coal based energy developments. Australia's largest export is coal. 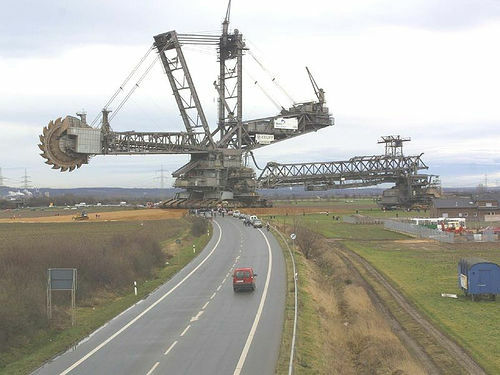 The country is the world's fourth biggest coal producer, behind China, the United States and India, and largest coal exporter - with plans to dramatically increase supply by eliminating the infrastructure bottlenecks that exist in the major ports servicing the industry at Port Waratah in Newcastle (to 140 million tonnes per year) and Dalyrmple Bay in Queensland (to 85 million tonnes per year), weather permitting. A new port at Wiggins Island in Queensland capable of handling 85 million tonnes per year is also planned. In 2006, Australia produced around 310 million tonnes (Mt) of coal, of which 230 Mt was exported. Australian coal reserves are estimated (by the EIA) to amount to 86,530 Mt, or just under 9% of world reserves, with deposits primarily located in Queensland and NSW. There was a report in the SMH last year that NSW could run out of coal "within 35 years", based on a production growth rate of 3.2% per year - but this was using a resource estimate of 10,600 Mt, whereas the official estimate from Geoscience Australia is 34,100 Mt (of black coal). I'm not sure where the disconnect is here. The Australian Coal Association, on the other hand, estimates Australia's identified black coal resources would last more than 200 years at current rates of production. Obviously current production rates are a foolish baseline to use, given the steady increase in domestic consumption and the expansion of export capacity, but even if we assume production rapidly increased to 1,000 Mt per year, this would still last for 70 years using the Geoscience Australia black coal figure (brown coal reserves are much larger) - and there does seem to be some scope for increases in resource estimates given that the huge known reserves haven't provide a lot of incentive for going out and scouring prospective areas that haven't been well explored so far. Based on these numbers, it would seem that the only thing likely to constrain the growth of CTL plants in Australia as a response to rising oil prices is climate change policy limiting or heavily taxing carbon dioxide emissions. Australia, along with India, is apparently the exception in terms of managing to find new coal reserves. According to a report on "Coal: Resources and Future Production" (pdf) from the EWG (Energy Watch Group), since 1986 all other nations with significant coal resources that have made the effort to update their reserves estimates have reported substantial downward revisions. Some countries - including Botswana, Germany, and the UK - have downgraded their reserves by more than 90 per cent. Poland’s reserves are now 50 per cent smaller than was the case 20 years ago. The EWG report resulted in a slew of articles on "peak coal" predicting that coal production will peak in the 2020 - 2025 timeframe. Woodside CEO Don voelte recently said Australia had a "raw, fragile, non-manufacturing and extraction-based economy". 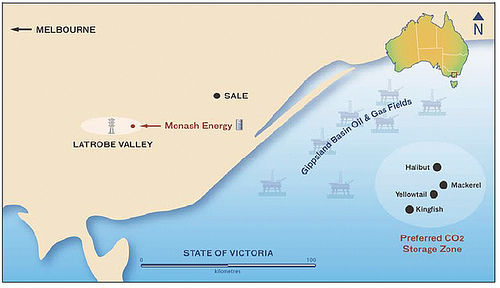 By some estimates, the North West Shelf gas project now represents about 3% of Australia's gross national product. If the Gorgon, Browse, Ichthys, Wheatstone, Pilbara, Gladstone and Darwin Phase 2 LNG projects all came to fruition, this would likely rise to over 10% of GNP. With coal exports worth 5 times those of LNG in 2006, the weight of coal in Australia's economy is even greater. Soaring coal prices - BHP, Rio Tinto and other Australian miners expect prices for exports to Asia to triple this year, before falling back a little in subsequent years - will further increase the share of the economy devoted to fossil fuel extraction. Mineral exports are also causing the Australian dollar to appreciate sharply, with US dollar parity expected in the near future. These factors are having a large impact on other sectors of the economy, with exporters that can't command these sorts of price rises being severely squeezed by the rising currency. These issues raise the spectre of Australia suffering from what is known as "The Dutch Disease" - the theory that an increase in revenues from natural resources will deindustrialise a nation’s economy by raising the exchange rate, which makes the manufacturing sector less competitive. The term was coined in 1977 by The Economist to describe the decline of the manufacturing sector in the Netherlands after the discovery of natural gas in the 1960s. This potential fate has already been raised in the Australian Financial Review, The Age and others, but it is hard to see any government action to try and prevent this. I'm not sure if there is a term for the converse of the Dutch disease - what happens to economies that become dependent on consuming a cheap and plentiful resource - but I think that would be an interesting area of study on its own.